A four-minute Malaysian Facebook ad touting a slimming and whitening product is making waves online. The ad by SlimmeWhite implies that being slim and fair is the only way to rekindle a husband’s love for his wife, and features a crying wife begging her husband to take her back after he divorces her. In the series of flashbacks shown in the ad, the initially affectionate husband promises to love his wife even when she grows old. However, his attitude changes after they get married, calling his wife a “rhino” when she does not dress up at home and a “burden” when she requests him to take her to the hospital and criticising her cooking skills. Following the divorce, the dejected wife stays with her sister who urges her to consume a bottle of SlimmeWhite. A month later, the husband bumps into the revamped version of his wife who is slimmer and fairer and as such, begs her to take him back, claiming that he still loves her and did not mean what he previously said. Towards the end of the video, the brand asks consumers to treasure the people they love otherwise risk losing them forever. It also assures viewers that it isn’t that their wives aren’t actually attractive, but rather, they are just way too busy taking care of the household chores. The video, which was published on 25 September 2017, garnered over 1.7 million views, 31k shares, 13k reactions and 3.7k comments at the time of writing. 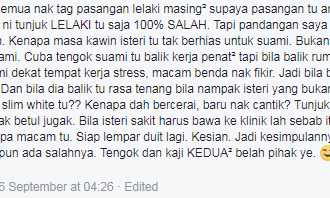 And while we are inclined to call the ad somewhat misogynistic, some netizens have actually voiced their support for the video and commented that it is true that wives are no longer dressing up for husbands, and that they should still aim to look presentable for their husbands even when they are married. However, another netizen commented that “women are more than [just] their skin [colour] and size” and that the company should educate women on self-worth and acceptance. A+M has reached out to SlimmeWhite for comment. He added that platforms such as Facebook host every age group and a large variation of mindsets. So perhaps that’s the reason campaigns like these still exist. Moreover, while there are many ways to sell in this category, he thinks that product endorsement maybe more effective rather than to skew the storyline into negative connotations. Casey Loh, creative chief of The Clan said brands such as SlimmieWhite have very specific objectives when portraying a product feature. Though being fair and slim is still a valid functional benefit to the audience, Loh said brands neglect the emotional benefits that a product can bring. “This happens when there is a lack of strategy and insight from brand owners who think a direct solution is the best way to address a campaign. Brands need to remember that they have a responsibility not just to sell but also inspire and be sensitive to the audience and the environment,” he said. Loh added he has seen good examples of how slimming/whitening products can be promoted in the form of humour. By telling the story in a way that somehow links to the functional benefit, the brand takes the edge off having to discuss skin tones and body shame women into thinking that the alternative is better. He also said that instead of focusing on how men perceive women, brands can make the protagonist the storyteller and put the effect of fairer skin and a slimmer body as an after effect of her willpower and character. “There’s no need to strike fear into women to sell a product. Being inspirational and empathetic can be just as powerful,” Loh said. He added that brands that have been under scrutiny lately somehow have a singular theme pointing back to them – that brand owners are jumping the gun to push out a piece of communication that has not been well tested or thought out. “It’s always good to seek out a point of view from agency partners rather than rely on one’s own perspective. Today everything moves at breakneck speed. But forsaking insight over haste can lead to long lasting negative effects because well, as they say the internet is forever,” Loh said. Also weighing in on the ad is Lara Hussein, CEO M&C Saatchi, who called it “primitive, irresponsible, offensive and derogatory”. “If you want to look good for yourself and believe a particular product can enhance your looks, that’s your choice. Personally, I feel we should do it for ourselves and not for anyone else. I think the video touches on some fundamental values of relationships which it shouldn’t have to, when the objective is to sell beauty products. The commercial is asking for criticism by putting women as just physical objects, which is shallow beyond belief,” she said. Hussein added that the video story assumes that relationships are defined in a certain, and there are too many assumptions in the video that will open up to unnecessary criticism, such as husbands being motivated only by physical beauty. This is not the first time an ad of a similar nature became the focus of online discussion. Earlier this year, Watsons Malaysia came under fire for its “Legenda Cun Raya” campaign which portrayed a “blackface” lady as unattractive. 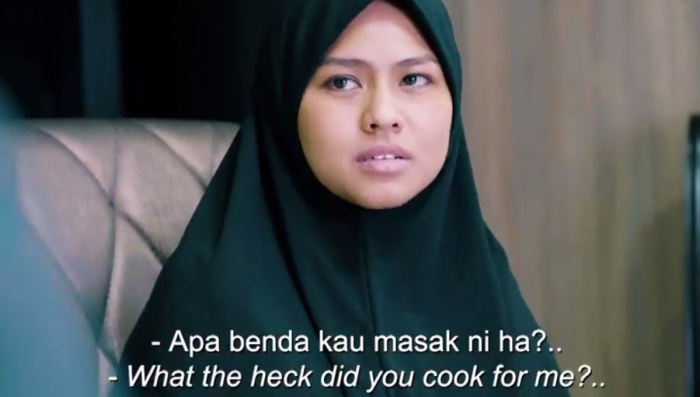 Many netizens called out the ad, deeming it “racist”, “insensitive” and “tasteless”. When the company apologised for the spot, it did not sit well with netizens, many of whom questioned the brand’s sincerity in apology. Thereafter, it released another statement of apology, stating that it “deeply and sincerely” apologises for the spot. It is time for marketers to stop upsetting consumers with overly intrusive online ads, says Tan Rahman, head of digital at OMD Hon..